It’s a welcome return to the world of Rufinus. He’s had quite a wild ride hasn’t he so far. Well the great game continues and Rufinus is in for the toughest trial yet. Cleander is powerful man and Rufinus just so happened to get on his bad side.. because of this he’s charges with a mission..the mission is basically just a way to keep Rufinus as far away from Rome as possible. One lucky thing for our hero is he’s sent away with Senova his lover and Acheron his ever faithful hound. I still love Acheron..I always get excited when I see the name pop up as those scenes are the highlights of the story for me. Acheron steals the limelight at every turn. Senova develops well in the book.. even Rufinus see changes in her and not all of them he likes. Being a freed slave there’s a stigma attached and Rufinus tries to shield her from this as much as he can but Senova only see’s this as Rufinus being embarrassed about her past. Cleander sends Rufinus to Darcia to test the loyalties of the border legions and what is uncovered could blow the empire apart. Enemies are everywhere and Rufinus finds himself stuck. Never quite sure who to trust and If you’ve read any of the authors work before you’ll already know Rufinus won’t get out of this without at least a few scars. Along the way Senova is given a slave boy Luca who becomes much more to her than that and he was a great addition to the tale although it just gives Rufinus one more thing to worry about. It’s difficult to put into word the epic life or death struggle Rufinus finds himself in as it would give too much away but some things I really enjoyed about the plot were the never-ending twists..nothing is ever simple and you really do get sucked in wondering if Rufinus will ever be able to get out of this with his head intact. The Praetorian series is a brilliant adventure, each book links so well with the last but at the same time is completely new and fresh..it grows each time into a bigger adventure and I’m excited for more. Overall I love the series, the plots are interesting and gripping. The writing flows well with a decent amount of time given to descriptive elements without it becoming boring or repetitive. The characters grow each time and I feel we see real changes in them as they develop as you would growing up naturally. A great little series to get stuck into. This entry was posted in Book Reviews, Historical Fiction and tagged Bloggers, Book club, Book Reviews, BookBlog, Books, Historical Fiction, Reading, Reading List, Reviews, Rome, S.J.A. Turney on January 11, 2018 by Bairdy1985. Ok so today i’m taking part in the blog tour for SJA Turney’s new book Insurgency. I’m going to be reviewing this book in the near future and i can’t wait to read it… if you’ve read my reviews you’ll know i love his work! I’ve often thought about writing a novel about Julian. Constantine is famed for making Christianity the state religion of Rome, and following on from him his menagerie of sons saw no reason to buck the trend, keeping tight with the Christian faith. Julian saw Christianity as endemic of the decline and corruption of the empire and attempted to reinstate pagan worship. But for all the power and importance of that decision, which makes him the last ever pagan emperor of Rome, Julian was much more. He was an excellent administrator, a strong general, a philosopher and writer of philosophical treatises, a social reformer who temporarily slowed the decay of the state, a philanthropist and, very possibly, a vegetarian. Julian is one of history’s great ‘what if’s’. Had he not died of a wound only 8 years into his reign, what might have happened? Elagabalus is very much the fruitcake’s fruitcake. As far as weirdos go, they don’t come much stranger. A member of the Severan dynasty, Elagabalus was a fifteen year old priest of the sun god in Syria when he became emperor. He brought a lump of sacred black stone to Rome from Emesa, making his Sun god the chief god of Rome to the consternation of the Roman elite. He built a new temple on the Palatine to Sol Invictus, married a Vestal priestess, breaking all Roman law, and his reign was characterised by nepotism, matriarchal control and wild sexual excess. He reputedly liked the company of men in the most bizarre ways, pretending to be a woman in Rome’s brothels where he would solicit himself to other men. A curious and colourful individual, Elagabalus did not last long before the weight of senatorial disapproval brought an end to him. To some extent he might be remembered for introducing Sol Invictus to Rome, a god who would become a soldier’s favourite alongside Mithras, but I doubt that is what he will ever be most remembered for. I could include Justinian for the Haghia Sophia alone, but he was so much more. By far the most influential and interesting of the Byzantine emperors, Justinian set down a series of codes that still influence laws to the modern day, fought to reunite the empire, attempting to return Italy to the fold under his general Belisarius, lived through the Nike Riots – the worst riots in Roman history – reinstating order through force backed by the strength and influence of his wife Theodora, and built some of the greatest structures in Roman/Byzantine history, many of which are still extant today. Justinian represents for me the high point of the later Roman world. Examine the great buildings of Istanbul and check how many of them are linked with this man. Oh he’s the most despised of all emperors, isn’t he? But who’s the real Caligula? You see, I’ve recently written a work on this fascinating man and, while he was clearly acerbic and quick to anger with a somewhat odd, hit-and-miss sense of humour, there is some argument that the great stories told of his madness were largely the invention of his enemies after his death. But whether he intended to make his horse a consul or was merely joking that doing so would make better consuls than the extant aristocrats of Rome, it’s still a great story. Whether he punished his rebellious legions by making them carry chests of seashells back from the English Channel, or whether he really considered them the spoils of war, it’s a colourful moment in history, and his reign is peppered with them. Love him or hate him, you can’t deny the powerful appeal of this character. One of Rome’s unsung heroes, in my opinion. One of the hard ‘soldier emperors’ from the Balkans, Probus came to power in a time of wars and troubles and tough leaders. He was a strong general himself, spending much of his reign fighting wars both external and internal, and yet found time to finish Rome’s great circuit of walls, build numerous projects in Egypt, drain dangerous marshes on the Danube and the Nile, and restored much that had been damaged by decades of war. But here’s his real value: in order to rebuild the economy of Gaul, Probus developed viticulture in Gaul, using military labour. In essence, it might be said that Probus was the father of French wine. How’s that for a legacy? Everyone knows Trajan, right? The first non-Italian emperor. From the city of Italica in southern Spain and with one of the most memorable faces in Roman sculpture, Trajan holds a number of reasons to be on this list. A conqueror, he added Romania and Arabia to the empire, bringing it to the greatest extent it would ever have and overcoming two ancient enemies of Rome. He is the second of Rome’s ‘Five good emperors’. An able commander, he was also an excellent administrator, as is recorded by a set of letters exchanged between him and Pliny while the latter was a governor in Asia Minor. But if Trajan will be remembered for anything throughout eternity, it will be his building projects. In Rome alone he left the great markets, column, baths, forum and aqueduct. In Ostia he created the new great port. With his architect, Apollodorus of Damascus, he truly changed the face of the empire. Diocletian is hard to work out. Was he a visionary or deluded? Was he an agent of change or a tyrant? Whatever he was, he changed Rome’s ruling system forever. Before him there had been a chaos of succession, often by murder or usurpation. Diocletian instituted the Tetrarchy, but which the empire would be split between east and west, each ruled by a senior Augustus and a junior Caesar. It didn’t last long, or course, and after him Constantine once more unified the empire, but the division created by Diocletian had long-reaching effects and he is the progenitor of the Byzantine empire every bit as much as Constantine. Moreover, his edict of Maximum Prices was perhaps visionary, and certainly is one of the most important administrative documents to survive from the ancient world. He left us the wonderful Baths of Diocletian in Rome (even if he had very little to do with it in reality) and he left the amazing Palace still visible in Split, Croatia. And perhaps the most fascinating thing? He is the first emperor to retire from the post, retreating to Split to grow cabbages. Again, like Caligula, a man about whom I have written (an as-yet unreleased joint work with Gordon Doherty), and like Caligula a man maligned by history who can easily be viewed in a much more positive light. A man groomed for the throne and yet who still had to seize it, albeit possibly unwillingly. A man beset by tragedy, who lost his son in the Tiber, who lived a life married to the daughter of his enemy, who held Rome in a world where every other powerful man was his enemy and coveted his lands. And yet Maxentius held no persecutions of the Christians, held out against incredible odds until Constantine’s army were at his very gates, and who left us basilicas, baths, villas, circuses and more. I have a soft spot for this quiet, overlooked emperor. Watch out for our book. I think you’ll like him too. Constantine is often hailed as the first Christian emperor, though he was baptised only on his death bed. Half a century earlier, this conservative, careful man may well have been the first Christian emperor, though that fact is highly debatable. During the height of the 3rd century crisis, when emperors came and went like the sunrise and sunset, Philip managed 5 good years and was lenient on the Christians of the empire. He made peace with Persia in the east and, unpopular though that was, that allowed him the leisure to fight wars at the Danube. In his reign he celebrated Rome’s 1000th birthday with great pomp and splendour. A short-lived man, but an enigma, as far as I’m concerned. One of the later Byzantine emperors of the Komnenian dynasty, Andronikos had a very colourful early life, debauching and warring, spending time as a prisoner of the Turk, attempting a coup against his cousin the emperor, and in exile at Antioch. As emperor he instituted tough, even brutal laws and measures to curb corruption among the nobles, relieving the empire’s lower ranks. For his harsh (if effective) rule, he received one of the most memorable deaths of all the emperors, losing a hand, an eye, his hair, his teeth, covered with boiling water, stabbed repeatedly and finally torn apart. Insurgency is published by Canelo, priced at £3.99 as an ebook. 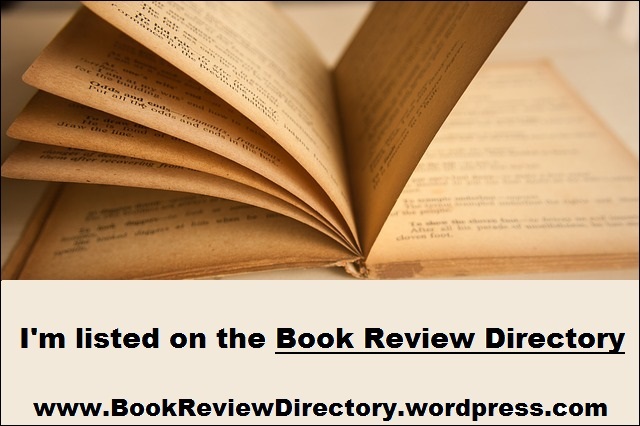 This entry was posted in Blog Tours and tagged Authors, Book club, Book Lovers, Book Reviews, BookBlog, Books, Ebooks, Historical Fiction, Kindle, Reading, S.J.A. Turney on September 5, 2016 by Bairdy1985. S.J.A Turney is well known to me as a historical fiction writer. After reviewing some of his previous books I couldn’t wait to see how he would write a story aimed at a younger audience. I couldn’t help but enjoy this tale, it had the historical edge Simon is known for but with the added fun that comes from being written for a young adult. This story was enjoyable from the start; the young kids give a fun feel to the story as we see it through their eyes rather than the adults. I know myself growing up when I struggled to read, because of my eyesight and through my own laziness that I found pages full of words a bit daunting.. My only comment I would make is that maybe I would have broken down the chapters into smaller chucks within the chapter so when you flick through there are plenty of places to pause..That’s just my preference though.. I can honestly say I loved the book. The story was well written, everything made sense and I wasn’t left with any burning questions.. Exactly what I want from a book like this. Added to Turney’s wonderful story telling we have the added Illustrations from Dave Slaney which brought a smile to my face whenever they popped up. More of these please.. they were brilliant! One of the best things about the book is simply Turney’s writing. He’s managed to write a brilliantly fun story without removing what I know him best for, the descriptive details, the character development.. It’s all still there.. it’s an adult story but just told in a different manner..
Add this one to your TBR piles! This entry was posted in Book Reviews, Historical Fiction, Young Adult and tagged Authors, Book club, Book Lovers, Book Reviews, BookBlog, Books, Ebooks, Historical Fiction, Kindle, Reading, S.J.A. Turney on April 13, 2016 by Bairdy1985. A collection of bite-size stories of varying styles all based in the world of ancient Rome. 12 tales of the ancient world, plus a bonus tale to finish. A Reading – What does the future hold in Judea? Bonus tale: Aftermath in the Ludus – A fun finish. Some short stories leave me deflated, not bored but sort of wondering what I got out of reading them.. not this one. On numerous occasions I found myself grinning, especially when I read the sentence “oh dear, I think I shat myself” . This really was a selection of well written shorts which at times were very humorous which I think is a hard thing to do in such short tales. This entry was posted in Book Reviews, Historical Fiction, Short Stories and tagged Authors, Book club, Book Lovers, Book Reviews, BookBlog, Books, Ebooks, Historical Fiction, Reading, S.J.A. Turney, Short Stories on April 8, 2016 by Bairdy1985. The book starts strongly with Rufinus out to get one of the cavalrymen who killed the frumentarius Dis in the previous book. The need for vengeance is strong and I can see this becoming a theme throughout the series.. and I like it. The main focus of this tale though is based on Perennis and Cleander, I won’t spoil what turns out to be a fascinating read but lines are drawn, trust tested to the limits and not everyone will make it out alive that’s for sure. We also see new characters introduced like Publis who I initially didn’t like but turned out to be the shining star in the book along with Cestius.. a new frumentarius for us to enjoy. These new and old characters along with the well-researched and interesting plot lead to what I can only say is one hell of a sequel! Throughout the story it felt I was reading a similar tale as the first book. Not that anything is the same, more that the undertone of urgency is always there. The book builds up until this final explosion of action. Superb! So you want to know where the 4* rating comes from.. well one person in this book gets overlooked I felt.. Senova the love interest of Rufinus. It’s been two years and he’s hardly spoke to her. After the first book I just expected her to have a bigger part but if you read the story you can see why she doesn’t get much page time.. she just doesn’t fit in with the action. On a good note the ending of the book leaves me in no doubt she will return in book 3 and hopefully we will see more happen between the two of them. Another excellent book from S.J.A. Turney! This entry was posted in Book Reviews, Historical Fiction and tagged Authors, Book club, Book Lovers, Book Reviews, Books, Historical Fiction, Praetorian, S.J.A. Turney on December 15, 2015 by Bairdy1985. I was very lucky to receive an ARC of this book for review purposes. This book follows the tale of Boudica and her rebellion against Rome and is split into 7 parts which are told by a different authors. Each story is full of action and crammed full of emotion which you want but the best thing for me was that every story was told from a different characters perspective. This is the first book I’ve read with this style of storytelling and I loved it, it’s what made it so enjoyable to read. The way in which the tales are told add to the growth of the characters as throughout the book you see them through someone else’s eyes and I found myself liking people I originally didn’t. There are some complex characters and relationships in this book and I particularly loved Sorcha & Andecarus. Each of these stood out for me. I also loved anything involving Duro. In conclusion I felt everything worked well with this book, it was full of action, fast paced and a joy to read. I also felt having so many authors involved and the writing style of the book brought something to my eyes which was unique. I can see my book pile is going to grow after being introduced to some authors I’d previously not heard of. It’s also made me want to look into some more stories about Boudica, she seems a very strong and complex character who I’ve not read much about. The one thing that really makes a good book for me is when the author leaves a spark with you.. leaves you wanting to find out more.. to read more. This book has certainly done that. I feel quite privileged to have had the chance to read/review this before its release. This is a must read for anyone who enjoys the genre. To find out more information head to Goodreads, Amazon.co.uk or Amazon.com. Pre-order is available now! This entry was posted in Book Reviews, Historical Fiction and tagged Authors, Ben Kane, Book club, Book Lovers, Book Reviews, BookBlog, Boudica, E.Knight, Historical Fiction, Russell Whitfield, Ruth Downie, S.J.A. Turney, Stephanie Dray, Vicky Alvear Shecter on November 13, 2015 by Bairdy1985.